Postcard from Holland is a regular feature on this blog. From time to time, usually on Wednesday, I post a card from my collection of vintage postcards. Today: Utrecht. 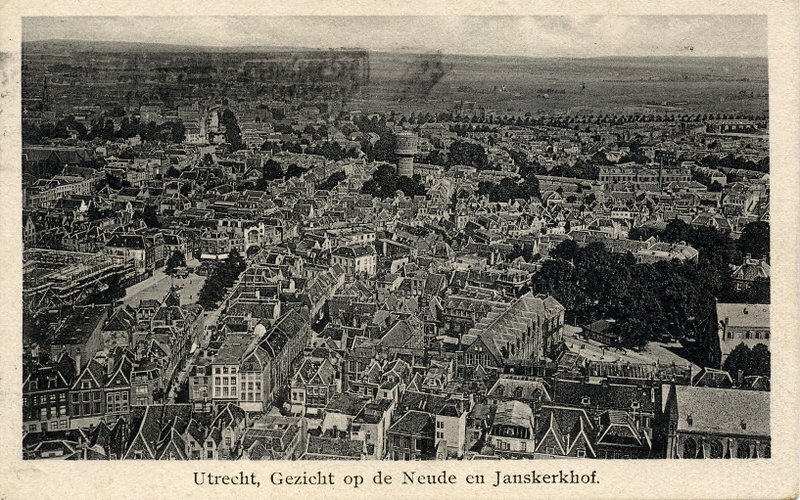 A view of the city Utrecht, with the Neude and Janskerkhof squares. Looking at this postcard it seems to me the photo was taken from the tower of the Dom church, looking to the north. 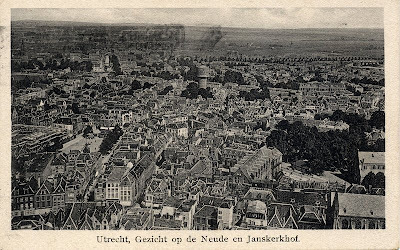 The square at the bottom right is the Janskerkhof (and to the right of it, on the edge of the card, you can just make out part of the Janskerk church). The square on the left is the Neude. The tower in the background is the water tower on the Lauwerhof street. The card was sent in 1923, so this photo was taken at least 90 years ago.